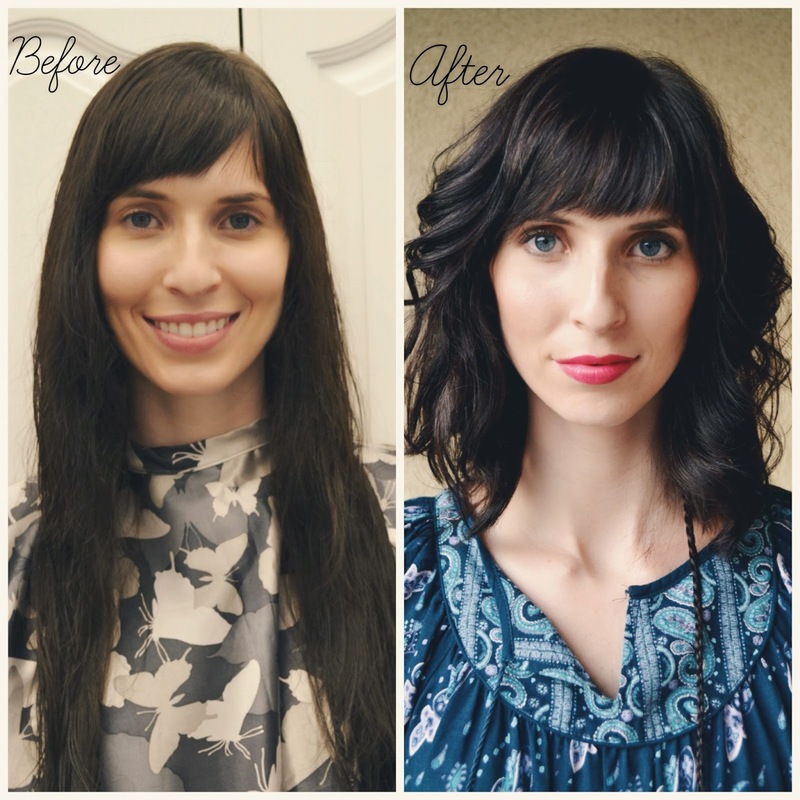 Today i'm sharing a few exciting hair transformations I have done over the last few weeks..
Jessi wanted to have a more vibrant color to give some depth to her all over platnium look. She is a mamma of soon to be 2 little ones so she needed a color with less maintenance, closer to her natural color. What I did: Her natual color is a level 8 so on top I used 8wg redken color gels with 10 volume and applied it to the roots and midshaft. I weaved every few sections of hair and applied 20 volume redken lightner through the middle to end.When it was time to wash out, I emulsified the root color throughout the whole head to give it that gradual in between color. Results: This is the shortest ombre I have ever done so I was a little nervous about the results but it ended up being the perfect color on Jessi!! It was a nice change because she was able to keep her blond but add a little excitment to the solid color before. Below are some pictures we used for inspiration. Janelle is my gorgeous long lost college roommate who just moved to the Dallas area the same time as me! It was amazing to be able to do her hair and catch up on where our lives have taken us over the past few years! Janelle had an ombre before and decided she wanted to go lighter all over but still keep it very natural. What I did: I did a fine weave on top with redken blonde icing and blonde dimension 20 volume. I didn't pull every strand all the way through because she already had a beautiful honey blond on the bottom. 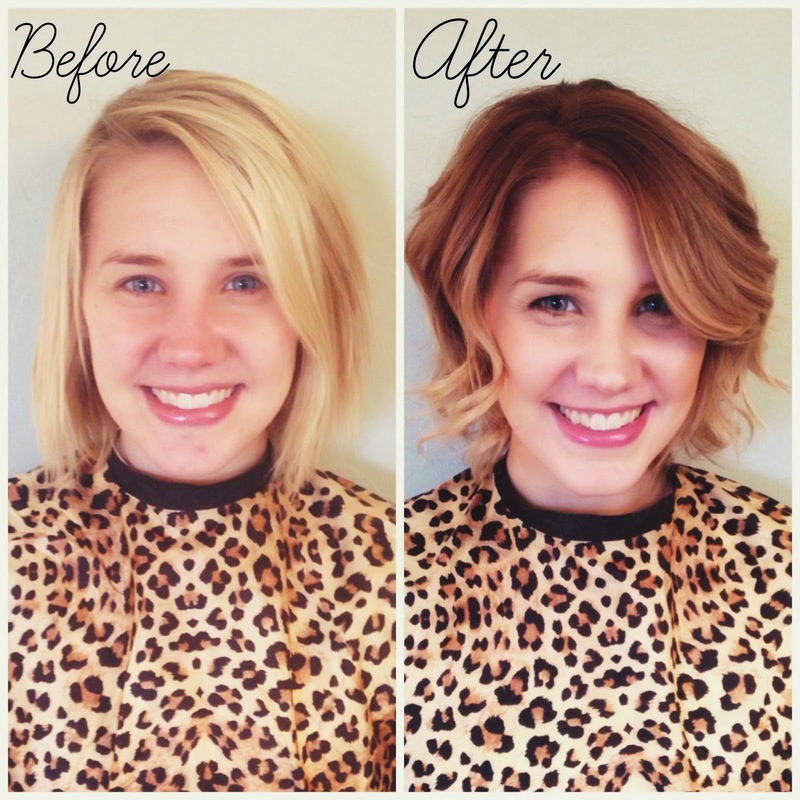 We loved the color the lightner gave her so we only toned a few pieces to give it a more gradual natural look. We toned with a level 7 and left it on for only a few minutes. Results: This color gives her a sunkissed summer touch and worked great with her olive skin tone. The contrast with her brown eyes and lighter hair is amazing!! Aimee wanted a big change! She wanted a long bob and lots and lots of textured layers. What I did: I cut 5 inches off the length and left it about an inch1/2 longer in the front to give it more of an aline shape. I used a razor to give her more texture and volume with her layers. Resuts: We love the fullness this cut adds to her face. Aimees hair is naturally very fine so when it was long it would stick straight to her face and gave her absolutely no shape. 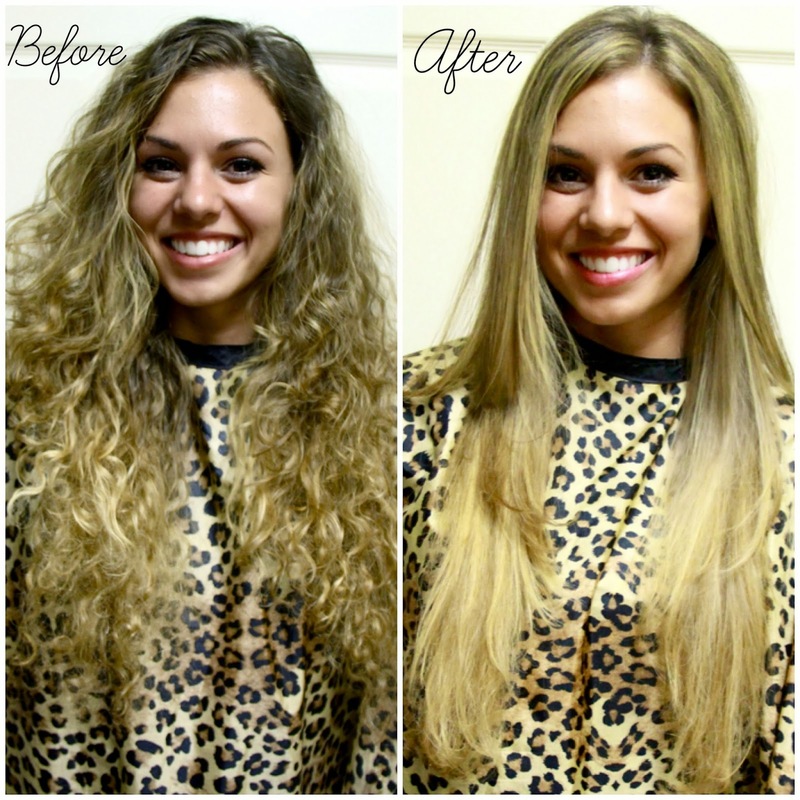 She is loving all the volume and how quick it is to style! We were inspired by these photos for the cut..
Email me at elisemarierogers@gmail.com or call me at 2095052903 if you live in the Dallas area and would like to set up a hair apt! I would love to hear from you! You are so sweet!! Thank you Jessica! Wow! Love all of the transformations, especially the short cuts! You do such a beautiful job! I wish you lived in the Atlanta area,lol. My hair is driving me nuts! I'm in the Dallas area and would to have you do my hair! Be expecting an email from me!! Just last week, I lightened my black hair to a caramel brown and added blunt bangs. I'm still getting used to it. Such a big change since I hadn't dyed my hair in 8 years! All beautiful ladies! Love that last look. You're making me want to chop my hair, again!